Fall is coming, and with it cooler temperatures, the shedding of leaves and those perfect evenings for holing up with a blanket and a book. For the best reads this fall, we turned to two writers: Louise Penny, author of the bestselling Chief Inspector Armand Gamache novels, and Pamela Paul, who oversees book coverage at The New York Times and just published “My Life with Bob: Flawed Heroine Keeps Book of Books, Plot Ensues,” her love letter to the books she’s loved. “And luckily there are a lot of books that try to take on serious topics that have been in the news…and delve a lot deeper than the Twitter feeds and headlines have been able to do,” she said. For Paul, deciding what to read next was “a question of mood. It’s almost on a gut level. I need to read something and I have to figure out what that book is. And if I try to read something that doesn’t sort of match that mood, it doesn’t take and I end up putting it down,” so she can find the right one, she said. Below are Penny and Paul’s essential fall books. And watch their full interview with correspondent Jeffrey Brown above. I’d read anything by Toni Morrison. If she wrote cereal boxes I’d collect them. 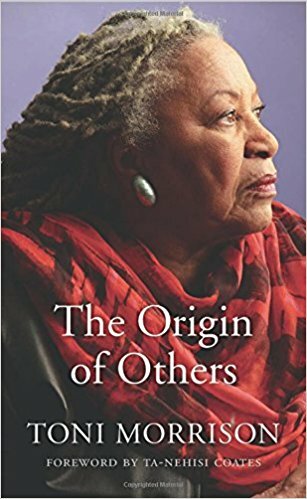 “The Origin of Others” is a collection of her Norton lectures for Harvard. They’re a series of essays. And the theme is race. It’s about belonging, our yearning to belong, about community, and about why race matters. And how we came up with the concept of Other. Us and Them. And why is it that once we had come up with that concept, we are predisposed to look at the other with suspicion. 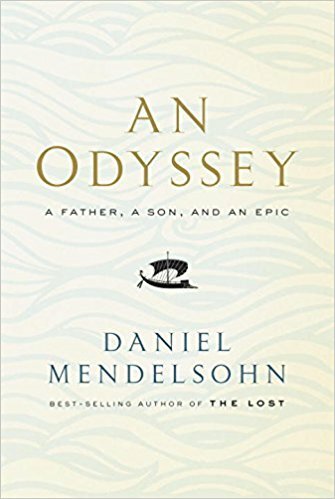 Mendelsohn is a critic, a reviewer, but he also teaches an undergraduate course in Homer’s “The Odyssey.” And his father, an 81-year-old mathematician, joined one of his courses, and so it’s really an odyssey into literature, but also into their relationship, so I’m dying to read that one as well. 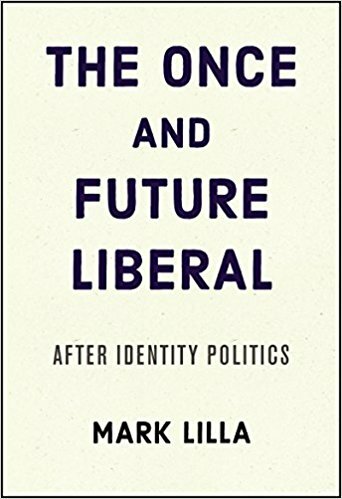 Foer was the editor of the New Republic until shortly after it was purchased by Chris Hughes, formerly of Facebook. There was a major falling out between them. 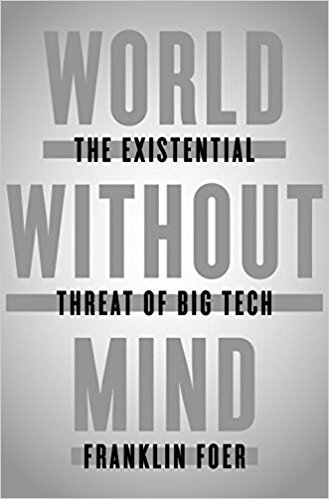 What Foer does in this book is not just write a memoir about that experience, but really takes on the issue of how technology has sort of infiltrated journalism, the media and our daily lives. And what some of the negative impacts of that — what those changes are. WATCH: Are big tech companies trying to control our lives? 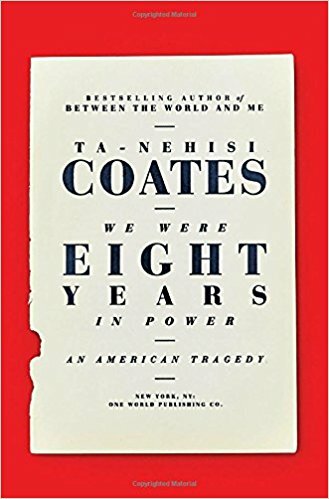 It’s a controversial book, and you might not agree with all of it, but it’s about identity politics and I think it’s interesting to read that, along with Ta-Nehisi Coates’ forthcoming book, “We Were Eight Years in Power: An American Tragedy,” which is his first big book since “Between the World and Me.” Together these books take on the issues of identity, race, class, and also electoral politics. I read a lot, I know how cruel the world is. I read a lot to just, to feel good about it. To know that goodness exists. 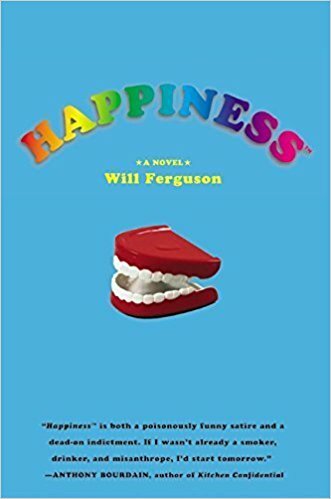 “Happiness” is a hilarious book about a self-help book that actually works. So this book is put out there and it works and everybody’s emotional ills are actually healed and everyone becomes happy. Except for the publisher, who’s thrilled with how many books are being sold, but he’s a cynic and he’s trying to figure out who wrote the book and why it works. I highly recommend it. Adebayo is 29-years-old, it’s a debut, she’s Nigerian and it is big-hearted. It’s lush. 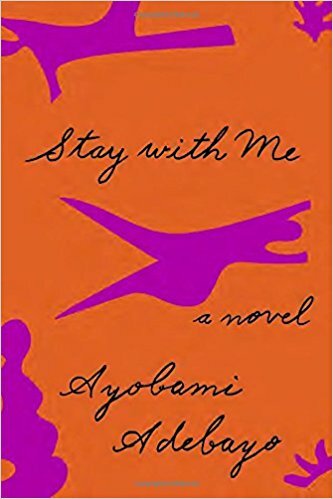 It’s an exploration of a marriage that starts out loving, but begins to have a problem when she can’t get pregnant. A second wife is brought in. She gets pregnant and then all sorts of family secrets are brought out. But I love the fact that it is so big-hearted. Again, it goes with the happiness thing. This is another book that really grapples with contemporary issues. Jesmyn, I feel like she can do anything. She edited a collection of essays last year, and she wrote a memoir, a nonfiction book, and she is a novelist. This is her latest novel. 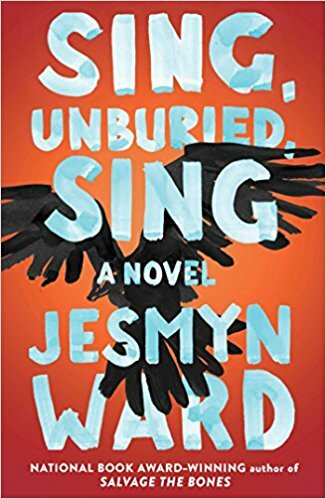 They all take place in a fictional town called Bois Sauvage in Mississippi where Jesmyn Ward lives and where her family is from, and I think you can sort of take them together. It’s a bit timely and sort of post-Katrina novels. This is about the people who are left behind and the people who stayed behind and why and what their lives are like. It’s about race. It’s about class. She has been compared to William Faulkner, Tony Morrison and Herman Melville, and well, I think she is her own voice. I am a huge fan of children’s books. And I do think that you read them in a different way as a child and then you read them in a different way with your children and then if you read them on your own, you also see in them different things. 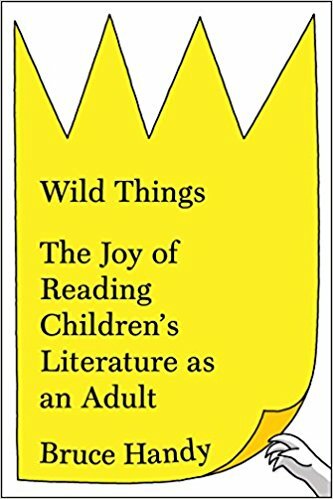 One of the things that he makes clear in his book is that children’s literature is really when we become readers. And those stories stay with us and the themes that they raise, whether it’s “The Chronicles of Narnia” or “Little House on the Prairie.” Those are stories that really stay with us for life and he explores why that is and really just the joy of reading them again. This is one of my favorite books of all time. It came out a couple of years after his first book, called “The End of Your Life Book Club,” and they’re fairly similar in that they’re really essays on books. It’s about books that he read at certain periods in his life that affected him profoundly, both as a child but also through his teen years. 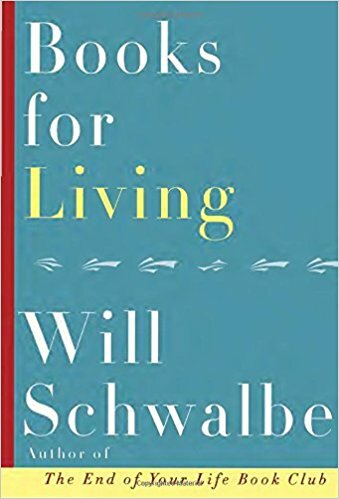 It is a wonderful exploration of the passion for living, for reading. That whole journey, that whole idea of the odyssey of reading and what Emily Dickinson talked about. Books, novels are frigates that take us to places we can’t normally get to, which she meant both geographically and mostly interior places, and he talks about that. And it’s simply a joyous celebration of reading and I love that book. These are two very different books but both written by two women looking at what happened over the course of the 2016 election — to them personally, and sort of looking at the election as a whole. 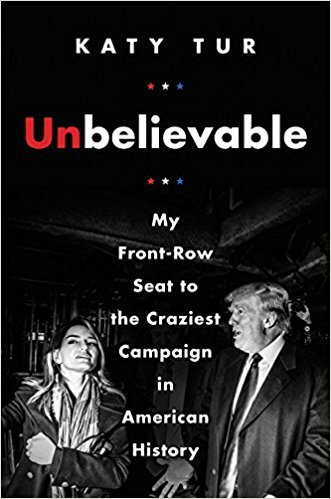 Tur’s is her memoir of her experience reporting for NBC and often being the target of criticism by Donald Trump and others in his campaign. 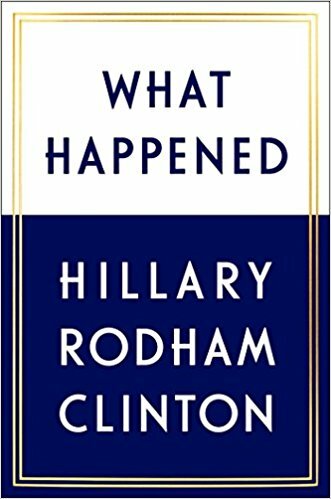 And Clinton’s of course is her highly anticipated new memoir that really is a very open, candid look at just that, what happened and how she’s been dealing with the results of the 2016 election and why she thinks the election results played out as they did. Tey is now long-dead, but she was a golden-age British crime writer in the ’40s, ’50s, ’60s. 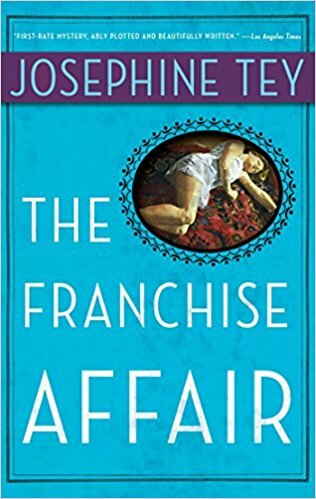 My favorite is “The Franchise Affair,” and it’s about two women, one middle-aged, the other the mother who moves into this village in post-war Britain. They’re different, they keep to themselves, the villagers are unwelcoming. It goes back a bit to the Toni Morrison book about “other” and what happens when you find yourself beyond the pale. So these two women aren’t exactly embraced in this community. And then this schoolgirl suddenly says that she had been kidnapped by these two women. Nobody believes the schoolgirl until the schoolgirl describes in immense detail the attic of this women’s home and it’s exactly how she describes it. Suddenly her story takes on a believability that it didn’t have. So the mystery is: Has a crime been committed at all? It is genius, it is short, it’s a novella, every word is meant to be. It’s crystalline. The above interview has been edited lightly for length and clarity.